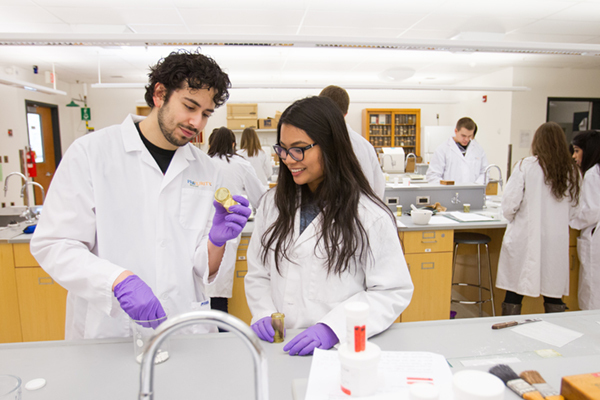 The College of Pharmacy is entering a new era with the launch of its Doctor of Pharmacy (PharmD) undergraduate degree program, which replaces the longstanding baccalaureate program. The change from the Bachelor of Science (Pharmacy) to the PharmD degree is required under nationwide regulations set by the Canadian Council for Accreditation of Pharmacy Programs. The new curriculum will expand the breadth and depth of study in clinical and advanced therapeutics, scientific literature evaluation, pharmacogenetics, pharmacoepidemiology, pharmacoeconomics, patient care-related practice skills laboratories, simulation training and Indigenous health. Students will spend 1,600 hours on experiential learning, compared to 640 hours in the B.Sc. (Pharmacy) program. Those who are currently enrolled will complete their degrees as planned and graduate with a B.Sc. (Pharmacy). Students who enter the college in 2018 will complete one year of the B.Sc. (Pharmacy) program, then transition to the new program for a further four years of study. In the fall of 2017, Kendra Rieger [BN/05, PhD/17] became the first-ever PhD graduate from the College of Nursing. She has now joined the faculty as an assistant professor. Prior to the PhD program being introduced in 2012, any nurse who wanted to earn a doctorate had to pursue it at another U of M college or faculty, or leave Manitoba. Rieger, who was a clinical nurse for 15 years before starting her doctorate, has a strong interest in forms of expression such as theatre, music and visual art. 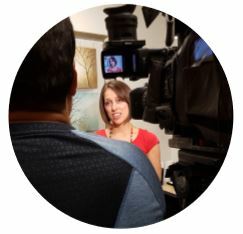 For her PhD research, she studied how undergraduate nursing students learn through the arts. 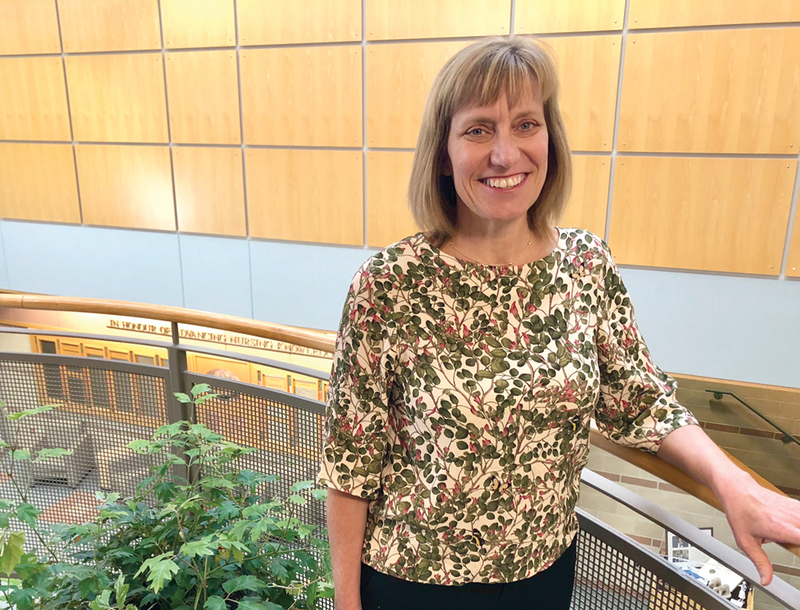 She is now principal investigator for a study of mindfulness-based expressive arts among patients with cancer, which received a Manitoba Medical Service Foundation grant of $25,000. Rieger has also received a $2,000 grant from the George and Fay Yee Centre for Healthcare Innovation. It will enable her to obtain input from First Nations stakeholders on the design of a research project. This study will use digital storytelling to explore First Nations women’s experiences of breast cancer. A combination of corporate generosity and good luck brought two new pieces of cutting edge lab equipment to the respiratory therapy department of the College of Rehabilitation Sciences in 2017. 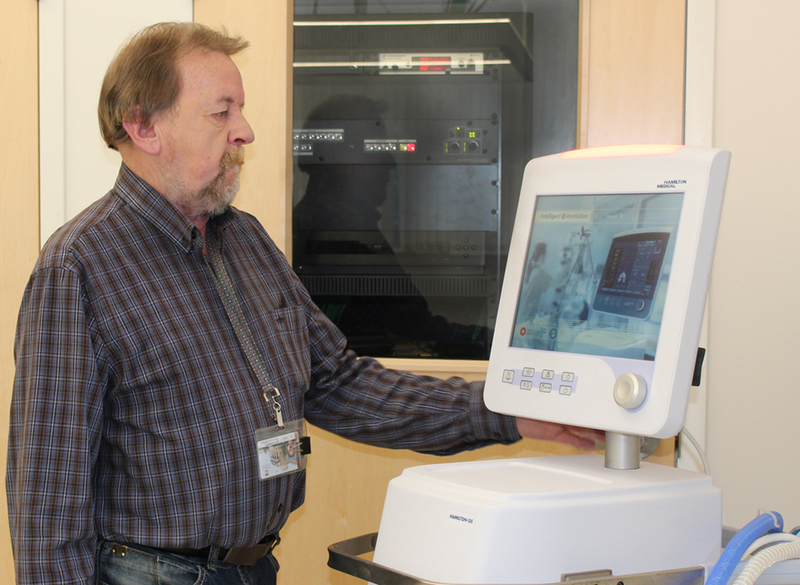 First, Winnipeg-based BOMImed donated a state-of-the-art ventilator – the Hamilton-G5 – to the department. The same ventilator is used in the intensive care units of two Winnipeg hospitals. The donated machine, which can provide ventilation for intubated patients from newborns to adults, is now being used as a teaching tool in three core courses. The department received a second high performance ventilator as a result of good fortune. Helping elderly people and clients with health challenges to live independently has always driven important research in the College of Rehabilitation Sciences. 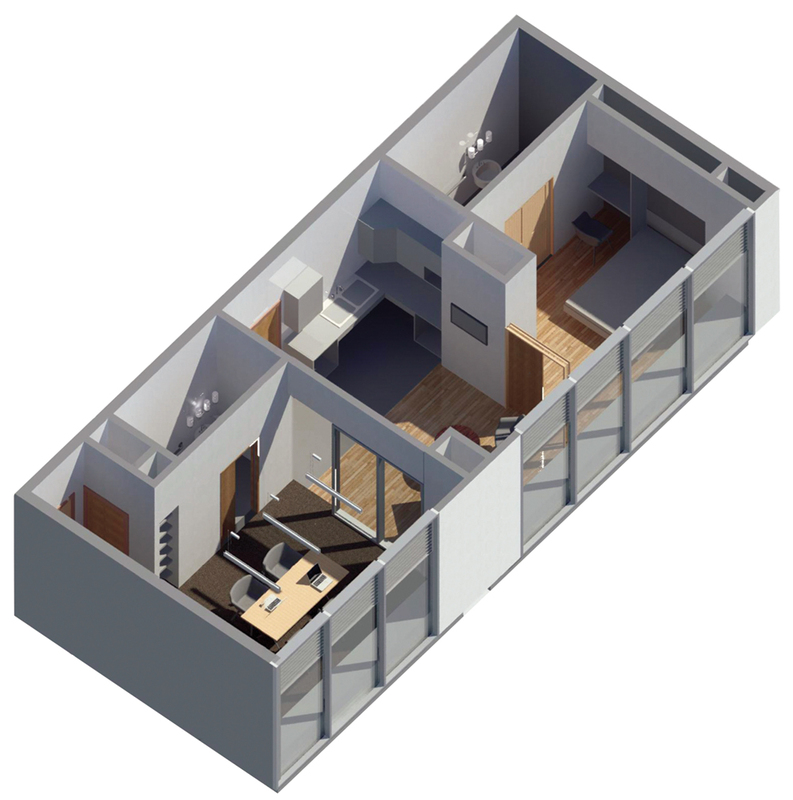 Now plans are underway to create a “living laboratory” to research and develop new assistive technologies that are built into the home or work environment. The U of M is partnering with Health Sciences Centre (HSC) and local high-tech industry to build an Ambient Assisted Living (AAL) suite at HSC. It will include a 1,000-square-foot apartment equipped with tele-presence, tele-monitoring and assistive technologies, such as motion sensors that detect falls. Clients will be able to stay overnight to test these tools. 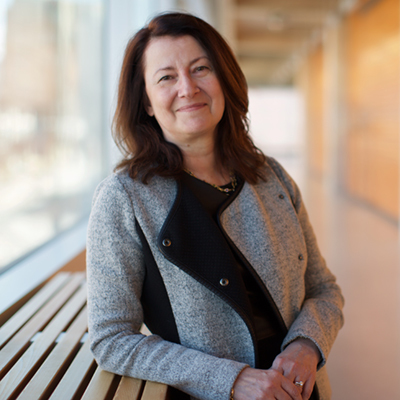 Lorrie Kirshenbaum [B.Sc./86, M.Sc./88, PhD/92], a prominent cardiovascular researcher, has been recognized with the U of M’s 2018 Distinguished Alumni Award for Professional Achievement. The Winnipeg-bred professor of physiology and pathophysiology holds a Canada Research Chair in molecular cardiology that was recently renewed for an additional seven years. He is director of the Institute of Cardiovascular Sciences at the Albrechtsen Research Centre, St. Boniface Hospital, and director of research development at the Max Rady College of Medicine. Kirshenbaum’s pioneering work is setting the stage for the use of gene therapy to treat cardiovascular disease and other illnesses, including cancer. His research group has identified a gene that is “switched on” when a person has a heart attack. The gene “tells” the heart muscle to die. Using animal models, Kirshenbaum’s group has shown that preventing this gene from being switched on can actually prevent heart failure. Shayne Reitmeier [B.Sc./13, MD/17], a 2017 graduate of the Max Rady College of Medicine who is now a rural family medicine resident, received the Distinguished Alumni Award for Outstanding Young Alumni. Reitmeier has been a strong advocate for people of diverse sexual orientations and gender identities, on campus and in health care. A unique resource that has helped make the U of M a global leader in the field of Indigenous and circumpolar health has reached its 20th anniversary. The Indigenous Health Collection, housed in the Neil John Maclean Health Sciences Library on the Bannatyne campus, is the only stand-alone collection devoted solely to Indigenous health at an academic healthsciences library in Canada. 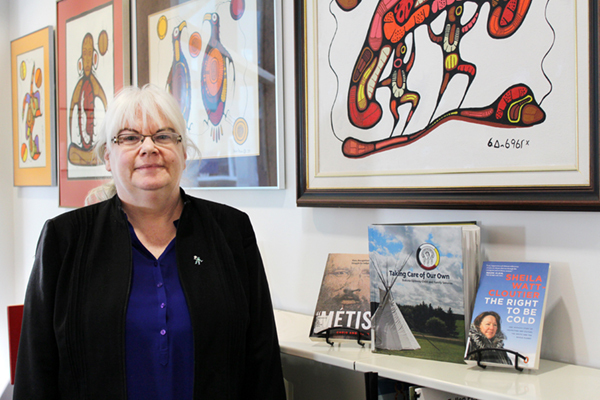 “In this library, the same respect that’s given to an established medical textbook is given to First Nations, Métis and Inuit community voices,” said Janice Linton, Indigenous health librarian. The collection originated in 1997 with the donation of more than 600 books and reports amassed by the U of M’s Northern Health Research Unit. Linton has built it into a rich repository of nearly 5,000 items. “I’ve listened to Indigenous people to make sure the collection highlights community-based programs and holistic approaches to health and healing,” said the librarian, who places a high priority on materials by Indigenous authors. The world sat up and took notice when a U of M study, published online by the Canadian Medical Association Journal in July 2017, found that artificial sweeteners may be associated with long-term weight gain and increased risk of obesity, diabetes, high blood pressure and heart disease. Meghan Azad [PhD/10], assistant professor of pediatrics/child health in the Max Rady College of Medicine, led a research team from the U of M’s George & Fay Yee Centre for Healthcare Innovation and the Children’s Hospital Research Institute of Manitoba. The study was a systematic review and meta-analysis of 37 previous studies. Azad was inundated with interview requests from media outlets. The study generated 327 news stories and took social media by storm. It was ranked No. 33 of the Top 100 papers of 2017 by Altmetric, which tracks global attention to academic research. The study team has received multiple invitations to present the findings at international conferences. Azad, who has a particular interest in the influence of early-life diet and environment on disease, has research funding for the next five years as a Tier 2 Canada Research Chair in developmental origins of chronic disease. A generous donation to the U of M’s Front and Centre fundraising campaign will enable more Manitobans to receive dental care at the Dr. Gerald Niznick College of Dentistry’s main clinic. In January 2018, the university announced that a gift of $250,000 from Scotiabank has established the Scotiabank Clinical Education Fund in Dentistry to support treatment for patients at the college’s Patient Care Clinic. The teaching clinic is one of the largest in Western Canada. Although it charges 50 per cent less than private dental practices, many members of the community are still unable to afford care. With Scotiabank’s support, patients who couldn’t otherwise afford dental treatment will have improved access to care. The endowed gift will provide a secure source of ongoing funding. The donation will also enhance dentistry students’ clinical training, presenting them with a greater breadth of oral health cases. “Scotiabank’s visionary gift is truly transformational,” said Dr. Anthony Iacopino, dean of the Dr. Gerald Niznick College of Dentistry. The support, he said, will enable the college to achieve important community service and engagement goals. 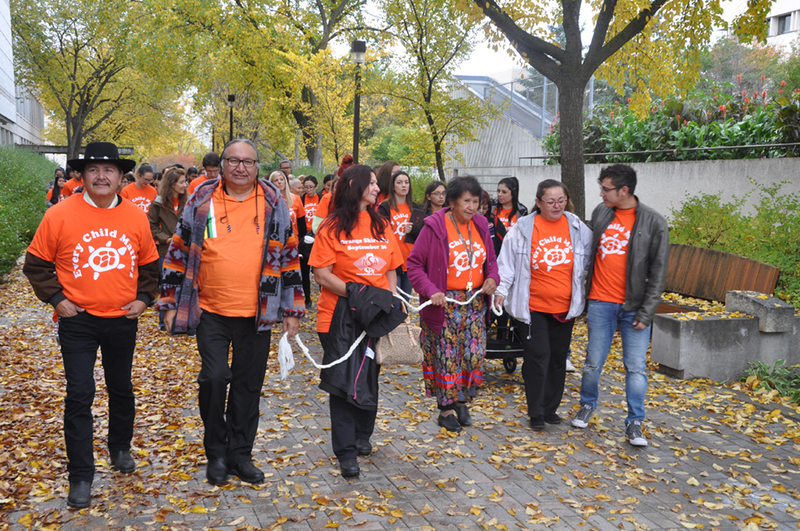 Nearly 200 students, staff and faculty from the College of Nursing participated in the third annual Every Child Matters – Orange Shirt Day on the Fort Garry campus in October 2017. Orange Shirt Day is a national initiative to honour survivors of residential schools, raise awareness of the schools’ legacies and acknowledge their multi-generational impact on Indigenous peoples. Participants wore orange T-shirts for an awareness walk on campus. Nursing students delivered a pledge to the National Centre for Truth and Reconciliation, making a commitment as Indigenous allies to practise culturally safe nursing care. In November, Dr. Elaine Mordoch [BN/91, MN/96], an organizer of U of M’s Orange Shirt Day, was honoured by the university with the Dr. and Mrs. D.R. Campbell Outreach Award. Mordoch, associate professor in the College of Nursing, is a passionate advocate for equality of health-care access. She has worked tirelessly to support communities in addressing issues such as suicide, mental illness and youth violence. Her outreach efforts include spearheading a 2017 suicide prevention workshop with members of Pimicikamak (Cross Lake) Cree Nation. Dr. Silvia Alessi-Severini is the latest recipient of the Leslie F. Buggey Professorship in Pharmacy. The three-year award recognizes research excellence, mentorship and leadership in a faculty member at the College of Pharmacy. Alessi-Severini received her undergraduate education in Italy. She earned her PhD at the University of Alberta and served on the U of A faculty. After being extensively involved with the drug review process as a consultant to provincial governments, including Manitoba’s, she joined the U of M in 2003. The associate professor teaches in the areas of toxicology, pharmaceutical policy and pharmacoepidemiology. She serves on the Manitoba Drug Standards and Therapeutics Committee and the Canadian Drug Expert Committee. Her research focus is on medication utilization and the impact of policy on health outcomes and costs. She is particularly interested in the safety and effectiveness of psychotropic medications, including antipsychotics and sedative-hypnotic drugs. Alessi-Severini will use her professorship to support her graduate students and research on the use of psychotropic drugs. The award will also fund a new project to assess the prescribing of medications for hepatitis C.
Indigenous children are much more prone to severe early childhood tooth decay than the general population. Robert Schroth [DMD/96, M.Sc./03, PhD/11], associate professor of preventive dental science in the Dr. Gerald Niznick College of Dentistry and of pediatrics/child health and community health sciences in the Max Rady College of Medicine, is a leading authority on this disparity. Schroth recently co-led an innovative study that used gene sequencing to compare the oral plaque microbiomes of two groups of preschoolers: 30 First Nations children with severe tooth decay and 20 decay-free children. The study, published in the Journal of Dental Research, found that children with severe decay had much higher levels of decay-causing organisms in their plaque. The decay-free group had more organisms known to protect against decay. Schroth believes that when environmental factors favour decay-causing species, the delicate microbial balance in the mouth can be thrown off. “For instance, Streptococcus mutans … can dominate and take over when kids consume too much sugar,” he told the Canadian Dental Association’s Essentials magazine. The clinician scientist hopes to see treatments developed to arrest tooth decay and suppress the harmful microbes. “There’s a lot more to learn about the shifting ecology of the mouth,” he said. 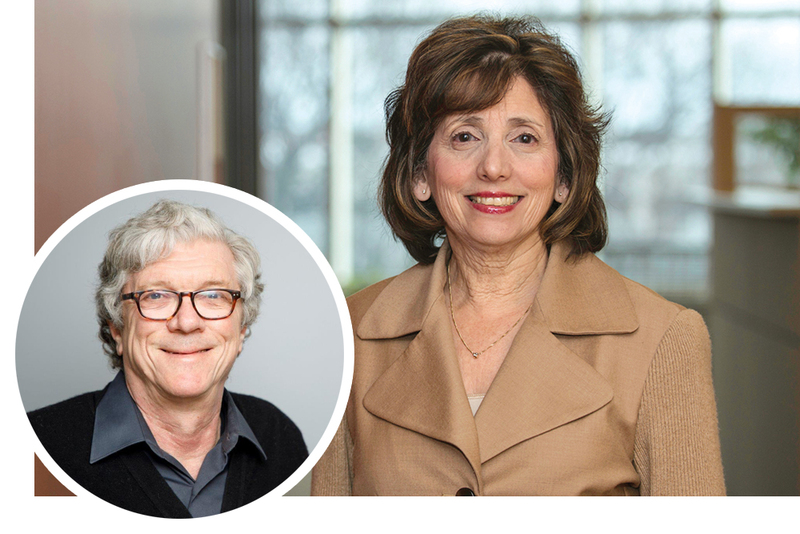 Dr. Cheryl Rockman-Greenberg, distinguished professor of pediatrics/child health and biochemistry/medical genetics in the Max Rady College of Medicine, was inducted into the Canadian Medical Hall of Fame in April 2018. Each year, six Canadian medical heroes are chosen for the Hall of Fame in London, Ont. Born and educated in Montreal, Rockman-Greenberg joined the U of M in 1979. She was a driving force in establishing the first clinical lab in Manitoba to use DNA testing for genetic disorders. 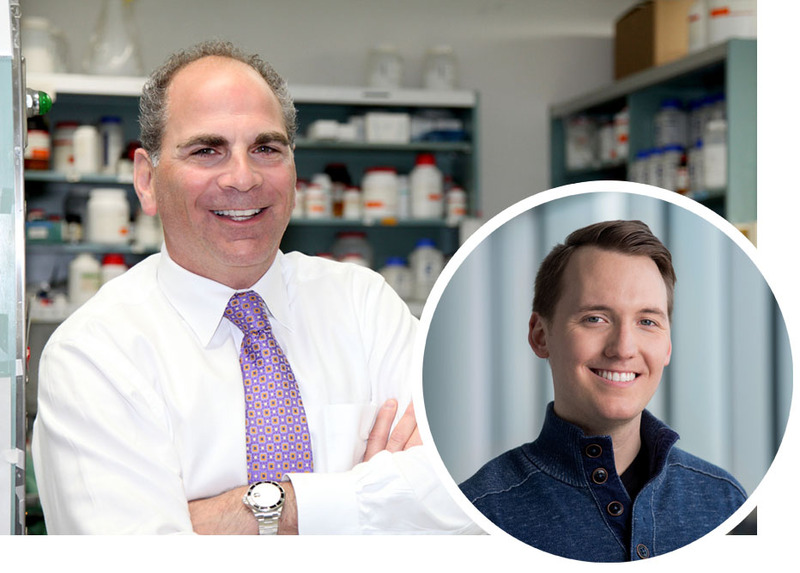 The renowned clinician scientist at the Children’s Hospital Research Institute of Manitoba has advanced the global understanding of rare inherited disorders. Working closely with Manitoba communities, she has developed diagnostic tests, screening programs and treatments for disorders that are over-represented in certain populations, notably hypophosphatasia (HPP), a bone disorder affecting Mennonite people, and glutaric aciduria type 1, a metabolic disorder affecting Oji-Cree people. Rockman-Greenberg’s many awards include the Medal of Honour from Canada’s Health Research Foundation. Philip Berger [MD/74], a U of M medical alumnus, was also inducted into the Canadian Medical Hall of Fame. The Toronto physician has fought for humane care of vulnerable people, including the homeless, refugees and patients with HIV/AIDS.